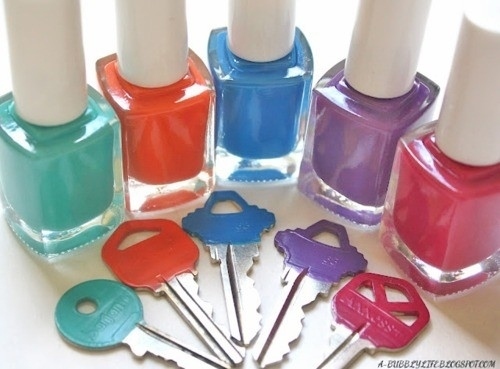 Just polish the ends to color code your keys and make them easier to tell apart! Use nail art tools to make designs and personalize them to your desire. So cute! 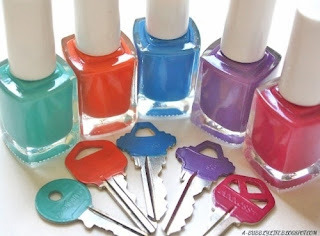 i would start with a base coat and end with a top coat after applying the color so they don't chip for as long as possible! 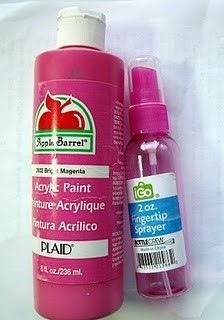 Make your own spray paint by mixing up 2 parts acrylic paint and one part water in a spray bottle. This I need to try for a project i'm planning on doing soon. It is so clever! I want to kick myself in the head for not thinking of it lol Doing this as soon as I get some wired hangers!